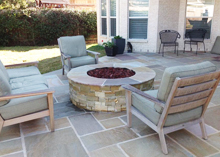 "WE ARE COMMITTED TO DOING IT RIGHT THE FIRST TIME, EVERY TIME"
Texas Outdoor Projects is the right choice for all your home needs. We provide FREE ESTIMATES. No project is too large or small. We only hire experienced and professional workers to make sure your project turns out just right. From the appliances to decoration, browse these inspiring photos to create the perfect outdoor kitchen. 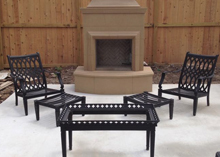 Our goal is to welcome our clients to the heartfelt style of cooking that's possible with an authentic pizza oven..
Find the perfect outdoor fire pit, patio fire pit or fire pit kit plus a propane fire pit or gas fire pit for your backyard. 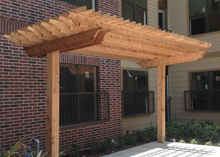 Transform your backyard into a relaxing, peaceful, getaway with the elegant Pergola from Texas Outdoor Projects. When the weather turns chilly, nothing beats the warm, relaxing glow of a fire in your very own indoor fireplace. 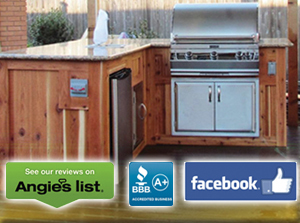 It was a pleasure working with Aaron and would recommend him to anyone looking to build or remodel an outdoor kitchen. 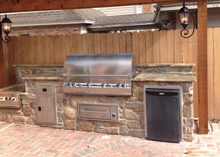 beyond impressed with my new outdoor kitchen they would deliver on their promise of a stunning outdoor kitchen. Their great communication and attention to detail paid off because now I prefer cooking outdoors more than I do in my home! I would work with them again in a heartbeat and have referred several friends and colleagues to Texas Outdoor Projects. We hired Aaron to remodel our outdoor kitchen. 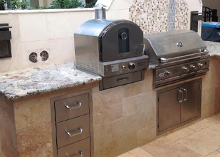 This was a custom job that required him to change the cabinets outside and install new appliances while keeping the most of the existing tile work. Aaron and his team did a good job working to our specific needs.